Hanna Eyre’s blind audition on The Voice was posted on YouTube on March 13th, 2017. She chose to sing “Blank Space” by Taylor Swift. She captivated the audience, along with three of the judges, namely Adam Levine, Blake Shelton, and Gwen Stefani, who all wanted her to join their teams. Hanna is only fifteen years old, but she has a very mature, soothing voice. Hanna made past the battle round but, sadly, she was eliminated during the Live Playoffs. 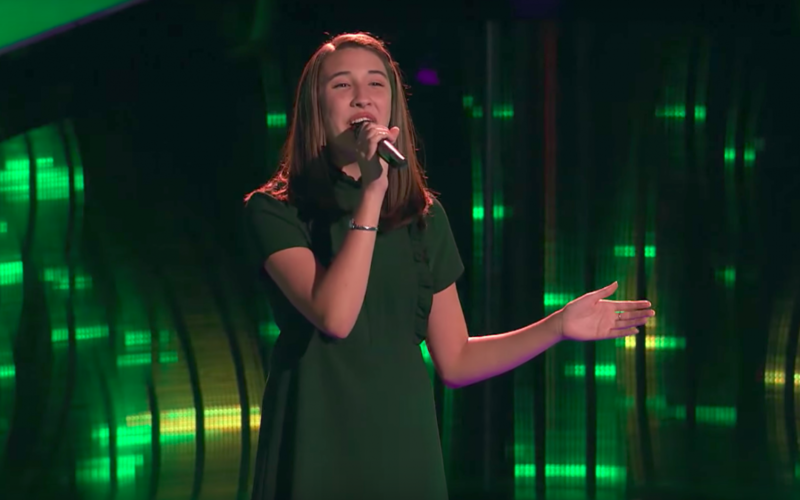 Many fans of The Voice wrote beneath her last video that Hanna was the best part of The Voice during that season and that she should not have been eliminated. The top commenter wrote, “WAIT, WHAT?!?!! She honestly deserved ONE spot! She has one [of] the sweetest and powerful voices on the show… I just don’t understand.” Many other commenters expressed similar thoughts. Many of them said that the reason to watch the rest of The Voice was gone with Hanna eliminated, saying that she was the “sweetest contestant” on The Voice. We all hope that she will continue developing her musical talents because she clearly has a gift.